How were laws made ? At first I didn't understand what this question meant. What was the parliament like those days? At this question, I understood what they wanted to know. That's the conversation on the train getting back to Kyoto. 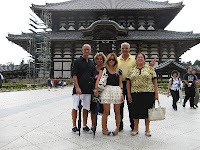 We went to Nara. 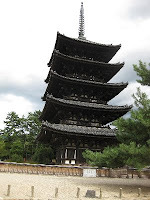 Nara is the oldest capital in Japan. 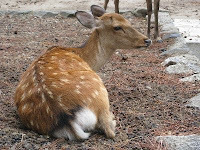 The politics in Japan started here in Nara. However, the mordernized politics first appeared in Japan about 150 years ago. 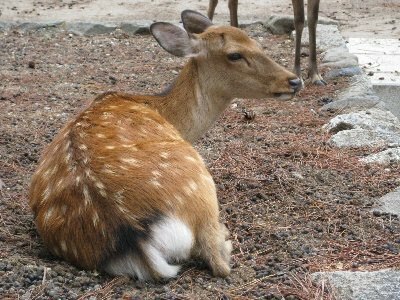 In Nara period, the Emperor took the power and controled the nation. With the help of advisors of the emperor, the Emperor made laws, the most famous of which is the constitution consisting of 17 articles made by Shotoku Taishi. There were no parliament in those days. Of course no election, no parlamentaians. In the precinct of Todaiji temple, there are some trees. When we step down to the road to the main hall, we can see a tree on the roadside. It was a bo-tree called the tree of buddhism. It is said that the buddha has reached enlightment under a bo-tree. That's why it was planted there. 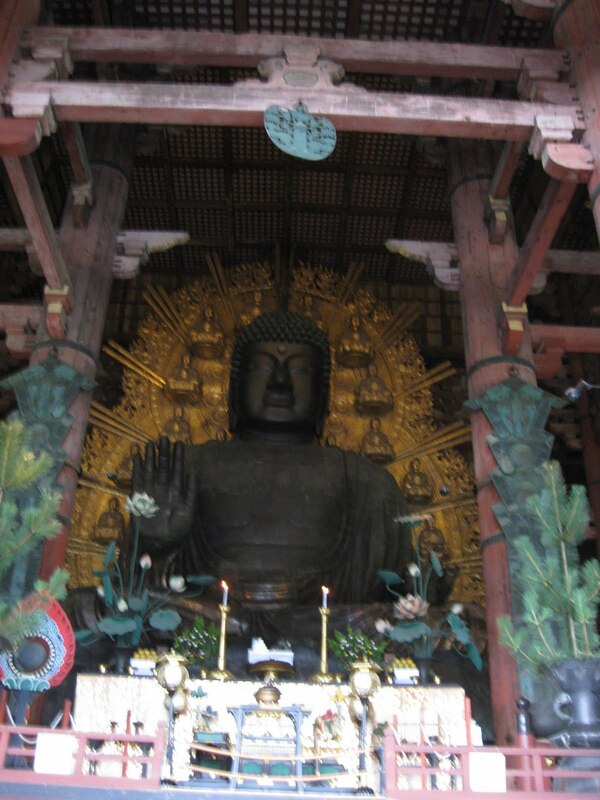 The big buddha image called Daibutsu is inside the hall. It is so big that they were devided into three parts, molded in each and were assembled later. The big buddha sits on the lotus flower. The side of this flower, the world view of Kegon sect of Buddhism is depicted. 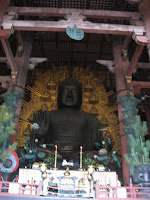 We visited Todaiji temple, saw the big buddha, went to Kasuga shrine, went to Naramachi. Many schoold kids were trying to go through the co-called nostril of Buddha. One of us challenged to do it and made it! We were so lucky because the typhoon was approaching to the district but it went through Japan sea and had little influence on our schedule. 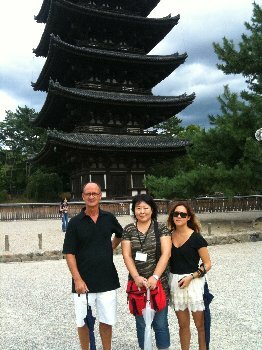 As we had time on the train going to Nara and coming back to Kyoto. We talked a lot and I learned some Italian words. 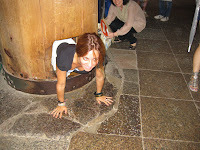 When we said good-by, I said "Arrivedercci"
sending to Fushimi Inari shrine. a family from Italy, the Father and his daughter and me!